Axel is a 5 year old male Akita. 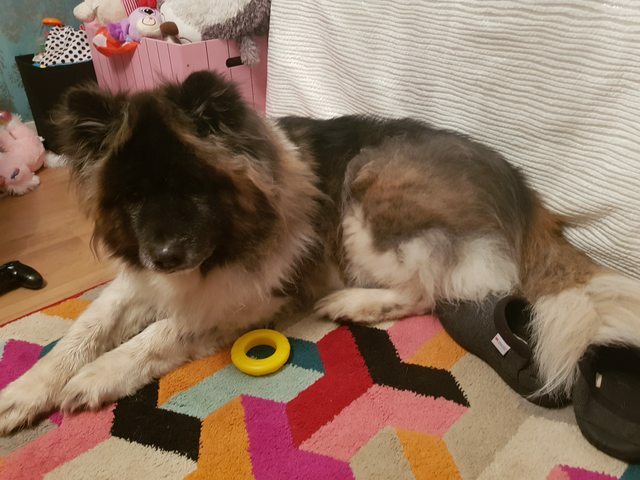 Axel is a beautiful long haired male Akita who is sociable and likes cuddles. 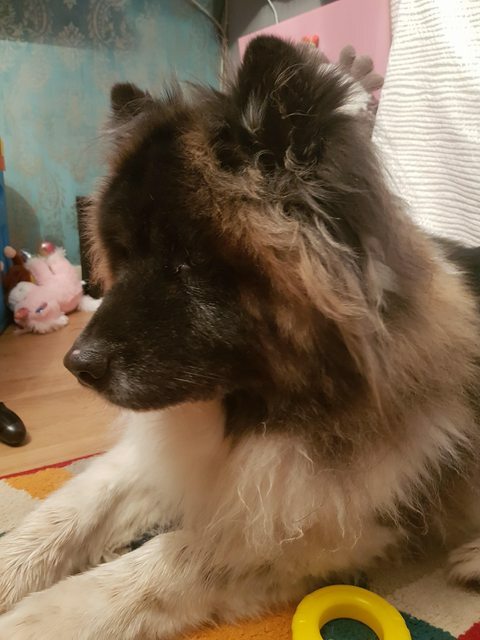 He is five years old and currently lives with a female Akita. We are hoping they will find their new home together but realise this may not be possible so Axel could be rehomed without his friend but would need a female canine companion in the home, children or someone around most of the day for company. He currently lives with children including a toddler with no issues and walks well on lead. He is easy going with no signs of food or toy guarding. He would thrive in a family environment where he can be part of their day to day lives. House trained, he can be left alone for a few hours. He knows the basic commands. Axel is a lovely dog who would benefit from a fairly active forever home. He is reluctantly being rehomed due to ill health. If you have time to commit to a long haired dog (and maybe his friend too!) who needs walks, love and guidance, give us a call. Axel is currently located in Leicestershire. 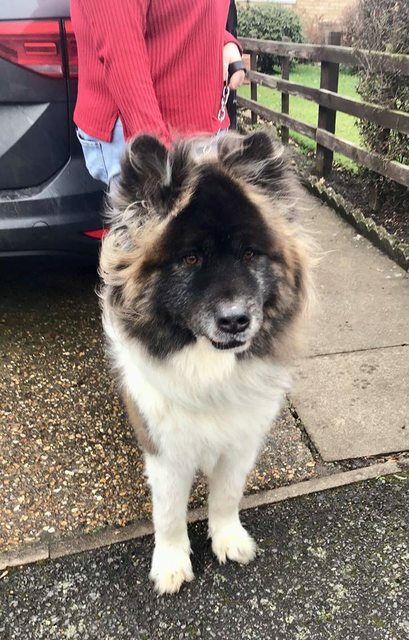 For further details regarding dogs available for adoption from Friends of Akitas Trust (UK), please contact Shirley Snape 07922665152, or email nicola@friendsofakitas.co.uk or Julie by emailing: julie@friendsofakitas.co.uk or telephoning 07738638091.